Patricia M. Buhler, DBA, MBA, SPHR, is a professor of management at Goldey-Beacom College and is the owner of Buhler Business Consultants. 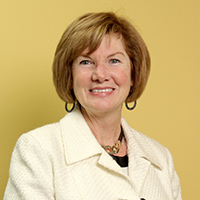 She is active in Delaware’s chapter of the Society for Human Resource Management. Her books include Up, Down and Sideways: High Impact Verbal Communication for HR Professionals (co-authored with Joel D. Worden, Ph.D.), Perfecting the Art of Management, and The Employee Satisfaction Revolution.